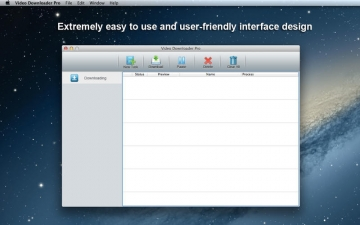 Video Downloader Pro | Mac App Storeのアプリ検索・ランキング BuzzMac! *****Time-limited Special Offer - Only $39.99, before Aug 30th, 25% Off, Buy Now! ***** #####Video Downloader Pro is the Pro version of Video Downloader: Bulk Download Online Video with 5 times faster Speed than Video Downloader on Mac!